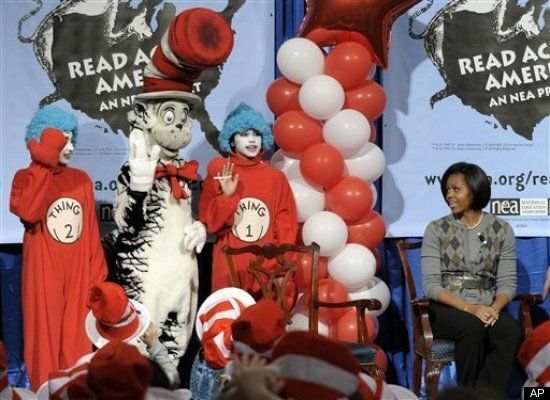 FLOTUS Michelle Obama kicked off Reading Across America day by…how else?…reading to the kiddies at the Library of Congress on Sunday. 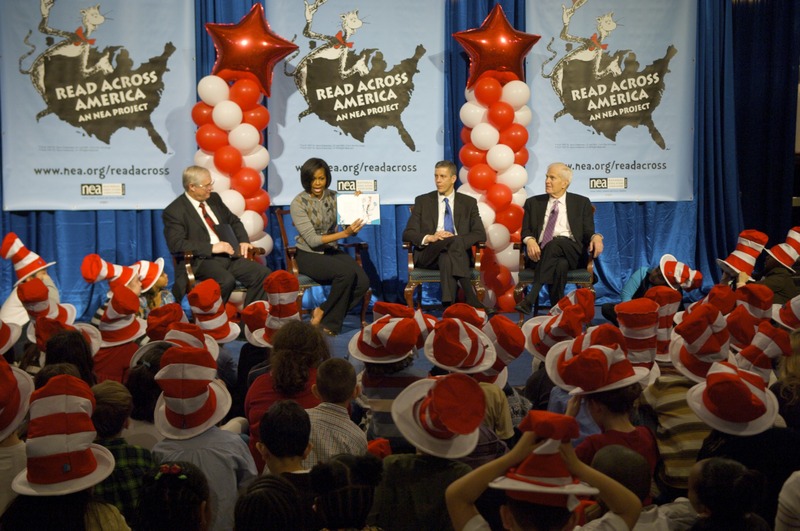 It was also Dr. Seuss’s birthday, so she appropriately read “The Cat in the Hat,” and spoke about the importance of reading to young ‘uns. 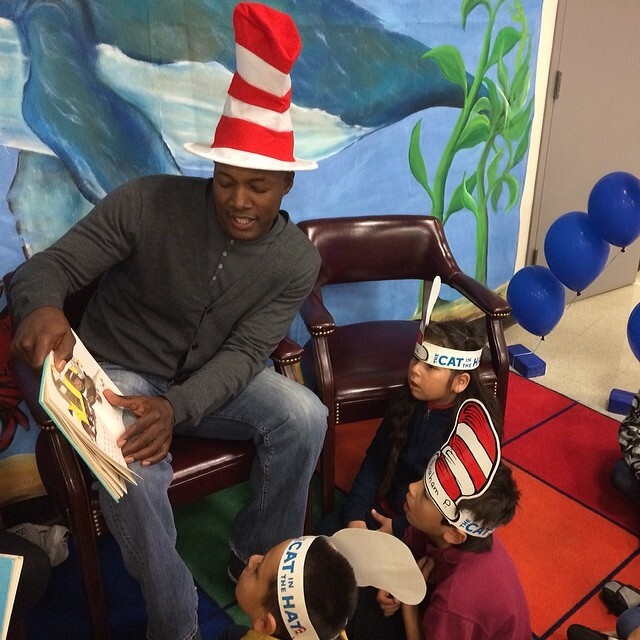 On Dr. Seuss’s birthday I think it’s fitting that we celebrate the significance of reading. As parents it’s important that we continue to highlight its benefits. Reading not only brings our families together but it prepares our children for a lifetime of learning. Cue the awwww’s, and the urge to grab a book and head to the nearest classroom. That’s just what actress Meagan Good did. Donning stripped hats Meagan and her sister, Lamiya dashed over to Compton to join the newly inaugurated mayor, Aja Brown, to read Dr. Seuss classics. And they weren’t alone. 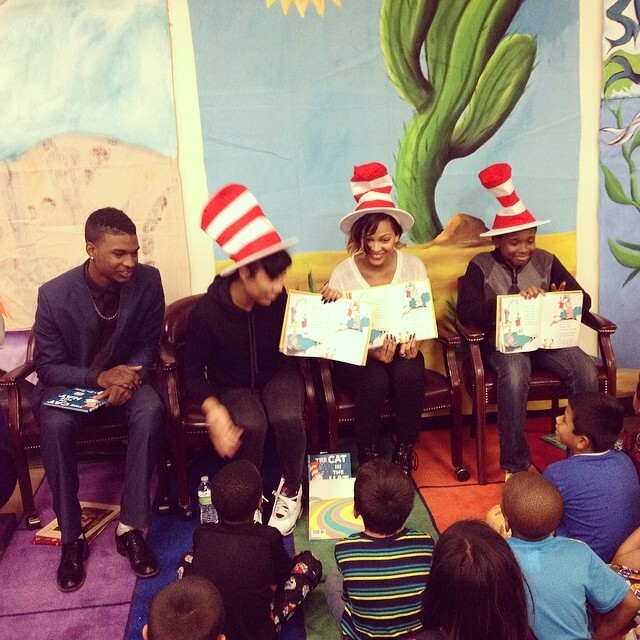 Meagan Good reading to the children. “Everybody Hates Chris” star Imani Hakim was there for the children as well as her reading partner Juwan Godwin, model and actor. Imani Hakim and Juwan…everyone looks good in that stripped hat. Do you remember Flex Alexander? R&B singer Shaniece’s husband. The actor with the reach for the sky locks. 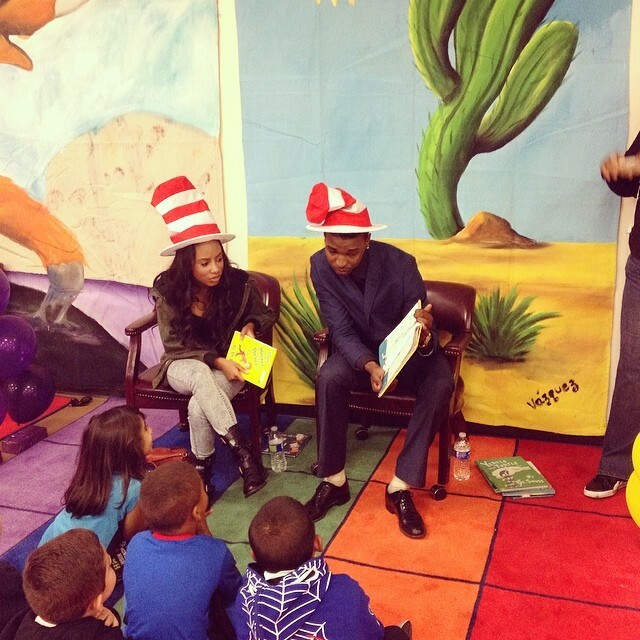 Well, he’s come out of hiding and showed kids the importance of literacy. Wonder if he still has the locks…nah. Flex Alexander engaging kiddies during story time. And finally the never aging beauties “Teen Wolf’s” Bianca Lawson and “Girlfriends” Anne-Marie Johnson share reading duties in the video below. Check it out.